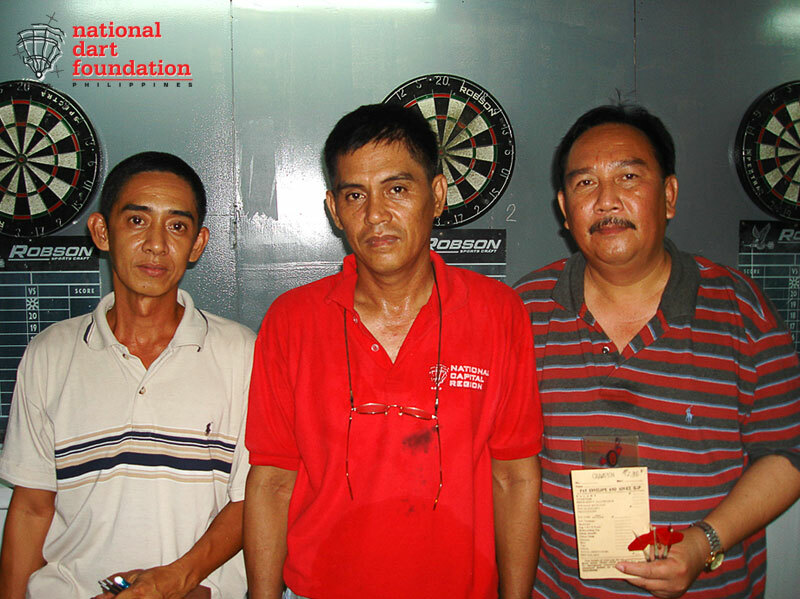 Balikbayan Willy Bariuan of Dhubai, UAE and balikdarter Rey Vidal (Tondo, Manila) won the Classified Draw Doubles dart tournament held at the Cartimar Manila Dart House of venue owner and darter Jun Tina last May 5, 2007. 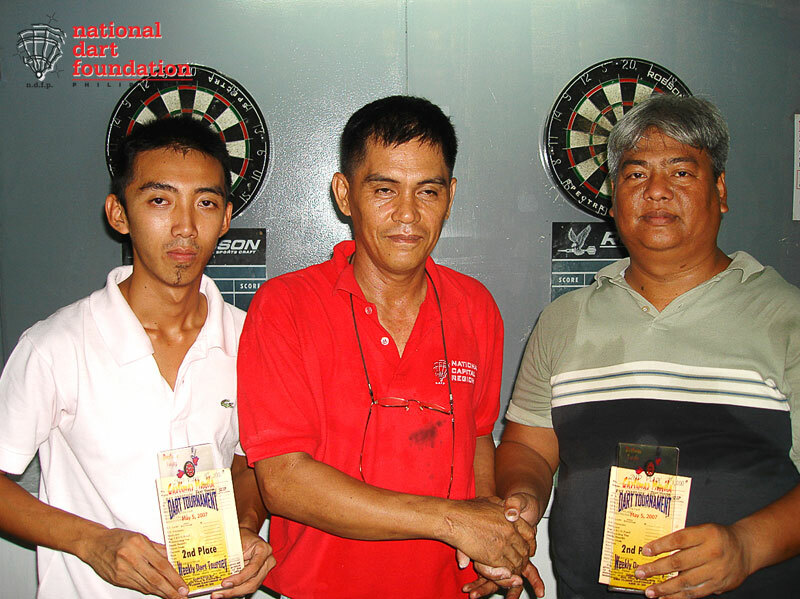 Coming from the losers’ bracket, Bariuan and Vidal won the first two games against to the pair of veteran darter Ricky Santiago (UDALC) and novice darter John Paul Corral (Kankaloo) who had the twice-to-beat advantage. In the deciding game, Bariuan and Vidal poured it on and proved too much for the tandem of Santiago and Corral as they coasted their way to victory in their exciting finals encounter. 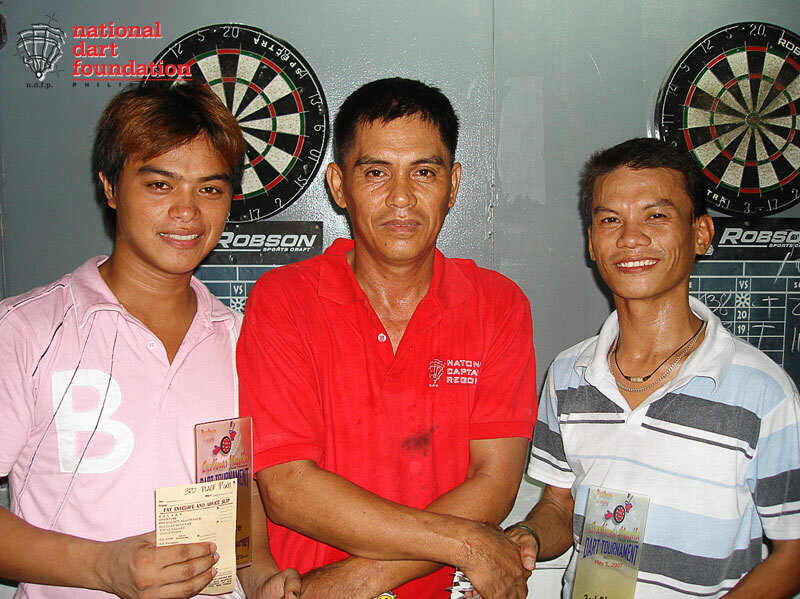 Aside from the cash prizes, trophies were also awarded to the Top 3 pairs.